With its insightful decade-by-decade analysis, British Cinema is brought alive for a new generation of British cinema students and the general reader alike in Amy Sargeant's personal and entertaining history of British cinema. With its insightful decade-by-decade analysis, British Cinema is brought alive for a new generation of British cinema students and the general reader alike in Amy Sargeant's personal and entertaining history of British cinema. Although new writing and research on British cinema has burgeoned over the last fifteen years, there has been a continued lack of single-authored books providing a coherent overview to this fascinating and elusive national cinema. 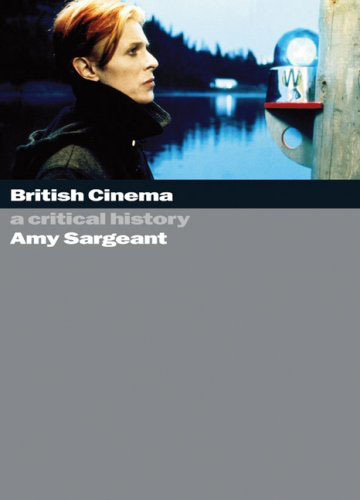 Amy Sargeant's personal and entertaining history of British cinema aims to fill this gap. With its insightful decade-by-decade analysis, British Cinema is brought alive for a new generation of British cinema students and the general reader alike. Sargeant challenges Rachel Low's premise 'that few of the films made in England during the twenties were any good' by covering subjects as diverse as the art of intertitling, the narrative complexities of Shooting Stars and Brunel's burlesques. Sargeant goes onto examine among other things, the differing acting styles of Dietrich and Donat in the seminal Knight Without Armour to early promotional campaigns in the 1930s, whereas subjects ranging from product endorsement by stars to the character of the suburban wife are covered in the 1940s. The 1950s includes topics such as the effect of post-war government intervention, to Free Cinema and Lindsay Anderson's 'infuriating lapses of rigour', together with a much-needed overview of Michael Balcon's contribution to British cinema. For Sargeant, the 1960s provides an overview of the tentative relationship between film and advertising and the rise of young Turks such as Tony Richardson, Ken Loach, Donald Cammell and Nicolas Roeg. Although new writing and research on British cinema has burgeoned over the last fifteen years, there has been a continued lack of single-authored books providing a coherent overview to this fascinating and elusive national cinema. Amy Sargeant's personal and entertaining history of British cinema aims to fill this gap. With its insightful decade-by-decade analysis, British Cinema is brought alive for a new generation of British cinema students and the general reader alike. Sargeant challenges Rachel Low's premise 'that few of the films made in England during the twenties were any good' by covering subjects as diverse as the art of intertitling, the narrative complexities of Shooting Stars and Brunel's burlesques. Sargeant goes onto examine among other things, the differing acting styles of Dietrich and Donat in the seminal Knight Without Armour to early promotional campaigns in the 1930s, whereas subjects ranging from product endorsement by stars to the character of the suburban wife are covered in the 1940s. The 1950s includes topics such as the effect of post-war government intervention, to Free Cinema and Lindsay Anderson's 'infuriating lapses of rigour', together with a much-needed overview of Michael Balcon's contribution to British cinema. For Sargeant, the 1960s provides an overview of the tentative relationship between film and advertising and the rise of young Turks such as Tony Richardson, Ken Loach, Donald Cammell and Nicolas Roeg.